Richardson auto electronics offer a huge range of quality in-car electronics and associated accessories all fitted by our fully trained professional technicians. 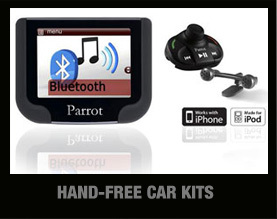 We stock a massive range of in-car entertainment products from premium brands such as Pioneer, Kenwood, Clarion and audio products from Diamond audio, Soundstream, Mac audio and Pioneer. 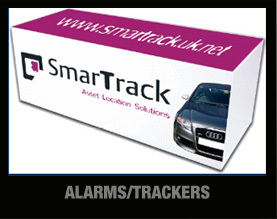 We are fully trained in fitting Trackers and Car alarms to insurance approved standards such as Smartrack, Laserline,Clifford and Toad. 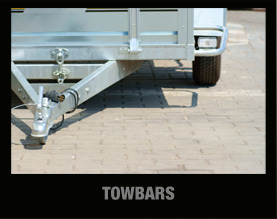 We can offer the convenience of vehicle parking aids the same as on many new cars these days. 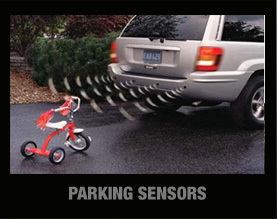 These systems are available as flush fitted sensors giving audible warning when approaching an object,these sensors can also be colour coded. A high tech alternative is to have a camera system which gives a screen inside the car and a small discreet camera on the rear giving a clear image of the direction of travel behind you. We supply a wide variety of cameras and screens as systems or seperately, give us a call with you're requirements.